Got anything red in your car? Time to gas up in select TOTAL service stations to avail of discounts on fuel products! 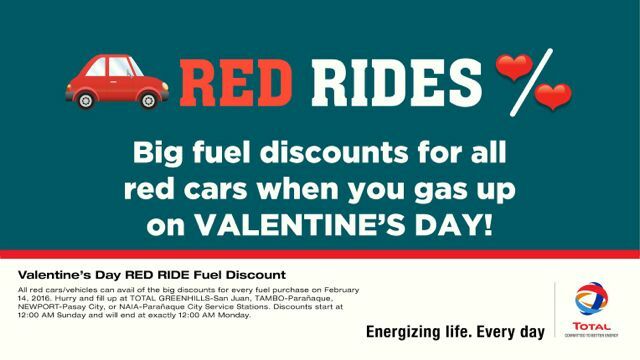 Valentine’s Day will be a red-letter day for TOTAL consumers as the oil and gas giant is giving away discounts for gasoline and diesel on February 14. The one-day promo will run from 12 midnight until 12:59 PM in TOTAL service stations in Newport City, Tambo Paranaque, Greenhills, and NAIA. Motorists can get ₱3 off per liter of gasoline and ₱1 off per liter of diesel at these service stations. You just need to drive by with your red car or present any red item inside your car to avail of the discount. All you need to do is drive up to any of these four service stations to enjoy the promo. 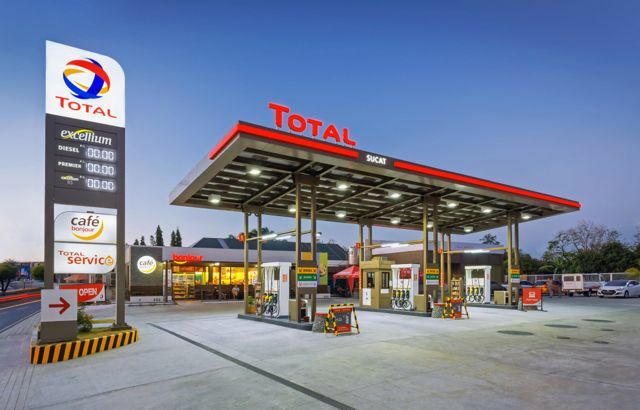 TOTAL Philippines is a French company that is the local arm of TOTAL S.A., the leading petroleum company in France. With products imported from France, consumers are guaranteed of quality and excellence. It has established a strong presence in over 130 countries, excelling in various fields from oil exploration to marketing and distribution of petroleum products. Recently, it introduced its latest innovative product to the Philippine market. TOTAL Excellium is a fuel product that cleans and protects engines from the first gas-up, promises fuel efficiency, engine protection, and less emissions for consumers. The Valentine’s Day promo is the company’s way of continuously treating its Filipino consumers for their continued support to the company.